For over 20 years now, Ocean Translations has accumulated an enormous amount of experience in medical translation for Latin America. Organizations such as WHO and the Argentinian Society of Paediatrics rely on Ocean to provide accurate and critical content in a range of topics. But how did the company come to specialize in this? To learn more about the story, we chatted with Betty Galiano, founder and general manager. 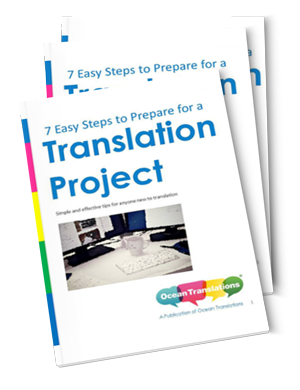 How did Ocean originally get started in medical translation? It was a derivation of my work as a medical interpreter, which began in the 1980s. My background was English teaching and I started my career in 1967. Then, in the late 1970s, I taught English to doctors at the Italian Hospital in Rosario, making medicine part of my daily life. Most of my colleagues were doctors, researchers and medical staff. With the advent of globalization and then the Internet, we realized there was a great need for accurate translations from institutions, universities, pharmaceutical laboratories and organizations worldwide to help improve patient care and quality of life. At Ocean, we set out to fill this gap and connect researchers, healthcare professionals and patients locally, nationally and internationally. What kind of medical material do you translate? Since our inception, we have been translating medical records, drug package inserts, research protocols, laboratory reports and analyses, informed consent forms, medical books, equipment installation and user manuals, technical documentation, medical software guides, marketing and advertising materials, drug packaging, patent applications, patient discharge instructions, prescription drug lists, and so forth. We translate mostly from English into Spanish and vice versa. Where do you find your expert medical translators? What are the major challenges when trying to build relationships with the most talented resources? I am a member of different professional associations like ADICA (Association of Interpreters in Argentina) and TREMEDICA (Association of Medical Translators and Writers) where I have the possibility of meeting excellent professionals. It is critical that linguists have outstanding research, reading and writing skills and a deep knowledge of the subject matter. Having access to reference material is also key. Could you name some of Ocean’s clients? Some of our clients are the American Association for Clinical Chemistry, The Lancet, British Medical Journal, Novartis, the Argentine Society of Paediatrics, among others. The World Health Organization (WHO), UNAIDS and CREP have very strict specifications for quality and performance, which is why we have been chosen as language service providers. What is the biggest challenge in medical translation? Perhaps the biggest challenge is that on many occasions the terminology is not the same in different countries. For example, screening is translated as “tamizaje”, “cribado”, “pesquisa” depending on the different Spanish-speaking countries. It is a challenge which can be overcome, there are many sources where to find accurate terminology but it is necessary to be able to understand the content and convey the right message. Additionally, it is always necessary to have specialists on hand in each country who can supervise and provide the specific vocabulary, to avoid introducing misunderstandings. In short, the solution to this problem is to validate the information with a subject matter expert (SME). How do you find these SMEs? Bilingual life science professionals trained in proofreading skills are the best resources. Being a medical interpreter allows me to meet many of them at conferences. We also have a dedicated team here who focus on finding and reaching out to suitable candidates. How do you add value with translation? 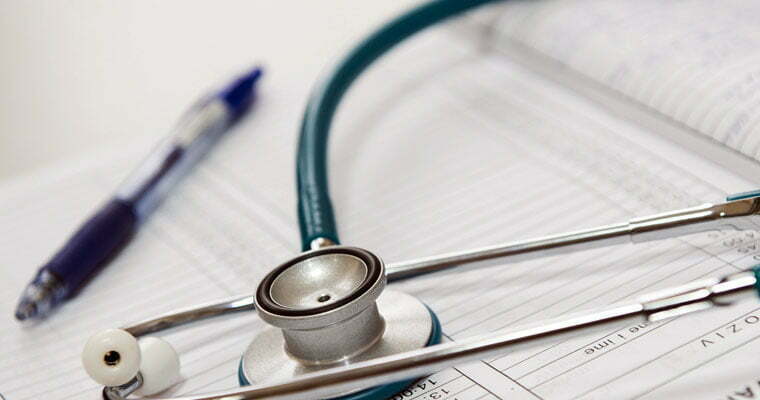 Accurate medical translation is essential for the medical industry. Therefore, we develop terminology bases and glossaries to provide consistency in the work in another language. Beyond everything else, our most important contribution is fluidity and clarity. In other words, no scientific material or document should “sound” like a translation, it should be completely understandable and simple as if it had been created by a native speaker. What other services do you provide to the medical industry outside of translation? We offer transcriptions, cognitive debriefing, subtitling, back-translation, linguistic validation, software localization and interpreting. What are the major trends you have seen in the arena recently? How does this impact your work in Ocean? Before we received many requests to translate Health Maintenance Organization healthcare plans, now I see an increase in video/audio transcription and translation, also we are seeing increased volume in the medical device and equipment arena where life sciences and software mingle. I guess you must occasionally translate for new and unknown therapies. What challenge does this present to the linguist, and how do they cope? Critical thinking is crucial for a medical translator or interpreter. New terms are regularly coined and many come from acronyms, like SNP (single-nucleotide polymorphism) pronounced “snip”, these terms are generally not translated into Spanish, they remain in the source language but you should know it refers to “polimorfismo mononucleotídico”. You have to pay attention to detail, to be focused since there are many new agents, many new molecular entities being developed and discovered in this field. With practice and experience, you learn that if the suffix of a drug is mab it is a monoclonal antibody, “olol” refers to a beta blocker, etc. Suffixes define the class of a drug. Much has been made of the rise of MT and Neural MT. How does this fit into medical translation workflows? We cannot overlook that artificial intelligence and a real-time input-output loop are having a significant impact on our industry. What I foresee is that translators will be the artists giving the finishing touches to a masterpiece. If you were giving advice to an aspiring translator in the medical field today, what would that be? If you love adrenalin, then go for it!